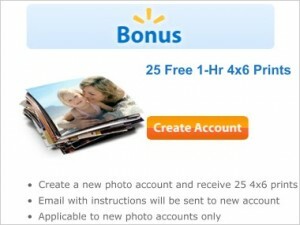 Get free 25 1 hour 4×6 Prints from Walmart. Create a new photo account to receive the free prints. Email with instructions will be sent to the new account. You’ll see this at the top right-hand side of the page.